If there is one gaming franchise that keeps showing up to the party with the same ol' tricks, it is most definitely that of the licensed LEGO games. We've seen the brand tackle the Pirates of Caribbean, Batman, Jurassic Park, The Lord of the Rings, and many more lucrative properties through its LEGO Dimensions toys-to-life title. And while each separate entry features a ton of brand-centric characters and a few exclusive gameplay hooks, there isn't much to each title to make them feel different. LEGO Marvel Superheroes 2 feels in many ways the same game we've been playing for years, for better or worse. 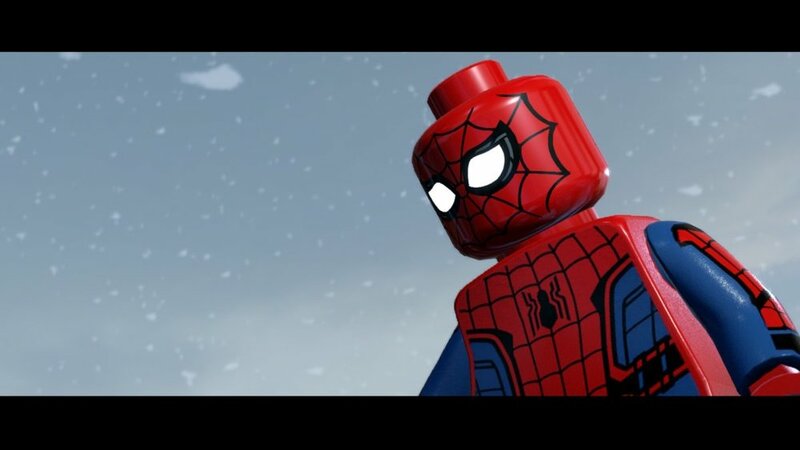 Unlike the previous LEGO Marvel Superheroes game; the Fantastic Four, The X-Men, and any characters tied directly to them are just not present, instead, the game relies solely on characters either part of the established MCU filmverse or properties that they have the full rights to use. This can make the main cast of the game feel small, despite the massive selection of over 300 characters. While that may sound like a huge army of plastic superheroes and villains to choose from, unless you tend to stick around and opt into the Freeplay modes, which are unlocked after completing each level, you're going to be stuck playing the same dozen or so characters throughout the 10-15 hour campaign. The game focuses on the popular characters from the available pool of the Marvel Cinematic Universe films; Captain America, Doctor Strange, Iron Man, Spider-Man, The Guardians of the Galaxy, Thor, Hulk, and Captain Marvel. These are who you will mainly control in your fight against the time-traveling Kang. You'll also have Ms. Marvel, She-Hulk, the Inhumans, and a few others to control as well, but it is rare that the game diverts from the popular MCU cast. During your quest to stop Kang, you'll meet up with the likes of Spider-Man Noir, The Green Goblin of 2099, Spider-Gwen, and other reality displaced characters, causing the main hub world to be a mash-up of different locations. You can web swing, fly, or get in one of the many LEGO vehicles and travel from K'un-Lun to Midtown Manhattan in the span of a minute. Chronopolis, as it is dubbed, feels like an amusement park attraction decked out to resemble various fan-favorite locales. I found this to make the game far more enjoyable than the open city locations in the previous games, which never really felt worthwhile to explore or offered as much variety as what is available here. 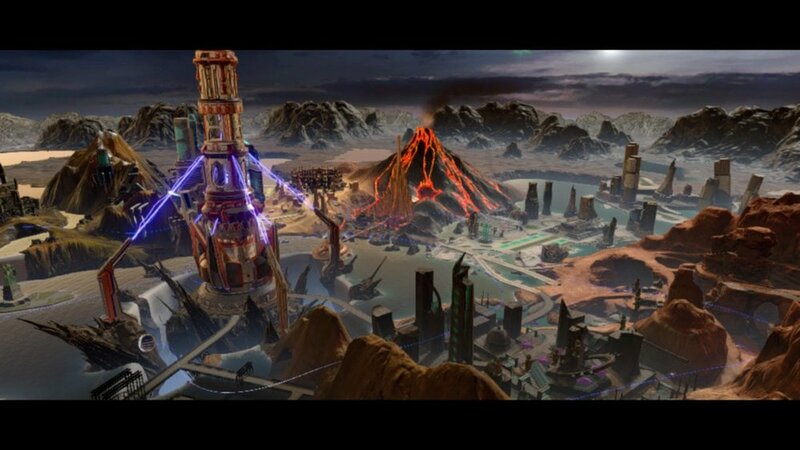 The levels themselves range from underwater bases, traversing a speeding train, exploring the mines of Wakanda, infiltrating various enemy headquarters, and completing a set of trials in Ancient Egypt. Each level will have you paired up with a selection of heroes and these pairings tend to last for many levels without seeing much swapping in the roster to shake up the same groupings. I lost track of how many levels Spider-Man, Miss Marvel, and She-Hulk would take on and the same goes for many other pairings as well. Occasionally you do get a guest star like Iron Fist, or Spider-Gwen, but they fade into the background immediately after the level is completed. While the structure of main levels are uninspiring and tend to become very formulaic, the boss battles are some of the best I've seen across any LEGO title. Sure, some of them are nothing more than giant health bars, but throwing water barrels at Surtur, fighting to the death in a Planet Hulk arena against a giant laser equipped snake, or the smackdown of a certain Symobite is incredibly fun. The best moment in the game was easily the dogfighting sequence with Captain America and Star Lord as you would have to stop shooting your target to bash the numerous enemies that would jump onto the wings of your plane. Had the game featured more vehicle moments like this during its campaign levels then it would have given it the variety it needed to stand out. Each level still maintains the same gameplay loop you expect of each LEGO title; destroy everything in sight, collect the LEGO studs, and use special characters to unlock and discover the secret items around each level. Some characters can change size, activate panels, or use their webbing to pull down various structures, so swapping from hero to hero is a full-time requirement. The AI that is partnered up with you is completely useless and tends to stand around while you are smacking down enemies, or taking a block to the face during boss battles. Playing with another player is easily the way to go, but for those who tend to play these solo will be required to do all the heavy lifting. This becomes a chore when you are required to swap characters while triggering multiple switches and this induced several moments of rage during an Inhumans level where characters kept moving off the switches I was trying to activate. While the game does offer hints at where to go and how to get there, there are several moments where the signposting offered is either confusing or just not apparent. I lost track of how many times I was at a loss at what to do and despite the help the game offers, I became lost far more often than I care to admit and wondered if the game was just glitching out or required something further of me. One example that comes to mind is trying to access a room blocked by fans in the underwater level featuring Iron Man and Captain Marvel. I tried for nearly 10 minutes to blast the fans or shoot them with my laser attacks and nothing was working. Eventually, a random enemy appeared outside the room and as I went to blast them, my attack went behind me and destroyed the fan in the process. The glitches didn't stop there as my game locked up at least 6 or 7 times, forcing me to redo large portions of a level or entire boss battle sequences altogether. The biggest offender was Tigress getting stuck in the environment in front of a set of vines she is required to cut down. This glitch occurred 4 times in a row, forcing me to restart the level each time. This wouldn't have been such a pain, but this meant I had to fight Shocker, Mysterio, and Vulture all over again before I was granted access to the Kraven battle with said vines. While the voice acting is decent, the audio levels for several characters were not balanced in any respect. I would often have to lower or raise the volume during several levels because of the drastic highs and lows. The most apparent of this is the Goblin of 2099, as his dialogue was incredibly loud, forcing me to lower the volume to almost half, making everything else in the game a whisper in comparison. LEGO Marvel Superheroes 2 is exactly the game you expect, and as I mentioned before, that is either for better or worse. The game does feature a few things to break up the variety, but these moments are fleeting and end far too soon. The typical gameplay loop of every other LEGO game is here and apart from the fantastic boss battles, several levels are very forgettable. The story is ok, but the reliance on a small cast of characters can make it feel very small scale. Had the game changed up the cast more and allowed characters like the reality displaced Spider-Gwen to factor more into the main plot, then I think I would have been far more taken with the story. As it stands, this latest LEGO Marvel game is occasionally charming in the way that every LEGO game is, but it still feels like the exact same game we've been playing year in and year out. PUBLISHER - warner bros. Interactive entertainment. lego marvel super heroes 2 WAS PURCHASED BY THE REVIEWER.